NEW YORK (CNS) — Christian apologetics, the branch of theology devoted to proving the reasonableness of belief in Jesus, is almost as old as the faith itself. Three documents in this genre, for instance, survive from the writings of St. Justin Martyr, who died in the middle of the second century. In 1998, former journalist Lee Strobel published a memoir of his spiritual odyssey from aggressive atheism to evangelical Christianity that also grounded his faith in objectively assessed evidence. Nearly 20 years later, and just in time for Easter, a screen version of Strobel’s book, “The Case for Christ” (Pure Flix), arrives in theaters. 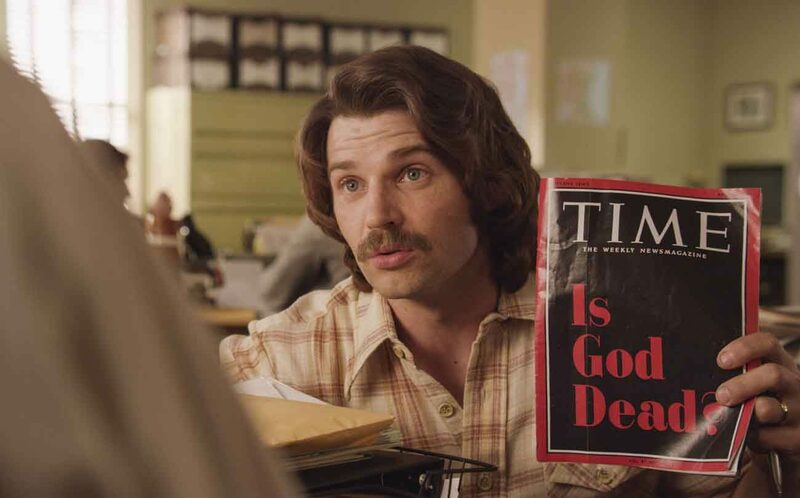 Set in 1980, the film charts Strobel’s (Mike Vogel) effort to uses his investigative skills — he was a rising star on the staff of the Chicago Tribune at the time — to disprove the Resurrection and thereby debunk the faith as a whole. He was provoked to do this by wife Leslie’s (Erika Christensen) recent conversion, an event that sparked discord in their previously serene marriage. Strobel consults a variety of experts, from archaeologist-turned-Catholic-priest Father Jose Maria Marquez (Miguel Perez) to Purdue University professor of psychiatry Dr. Roberta Waters (Faye Dunaway). Each knocks down one of the lines of defense that Strobel has erected to bar acceptance of Christ’s return from the dead, e.g., that the 500 witnesses to it mentioned in the New Testament were suffering from a form of mass hysteria. It makes for an intelligent quest, though one that includes a detailed exploration of the medical effects of crucifixion that would be upsetting to many kids. Director Jonathan M. Gunn and screenwriter Brian Bird intertwine Strobel’s intellectual journey with his involvement in a headline-grabbing criminal case — Renell Gibbs plays the defendant, James Dixon. They also work in a low-key study of Lee and Leslie’s strong bond and of the problematic relationship between Strobel and his father, Walter (Robert Forster). While not as heavy handed as many message movies, “The Case for Christ” — which is acceptable for a wide audience — succeeds more as a vindication of the rationality of belief than as entertainment. On the other hand, those looking for an informal way to bolster their religious education during the holiest of seasons could hardly find a more fitting choice. The film contains graphic descriptions and images of scourging and crucifixion and a single crass term. The Catholic News Service classification is A-II — adults and adolescents. The Motion Picture Association of America rating is PG — parental guidance suggested. Some material may not be suitable for children.